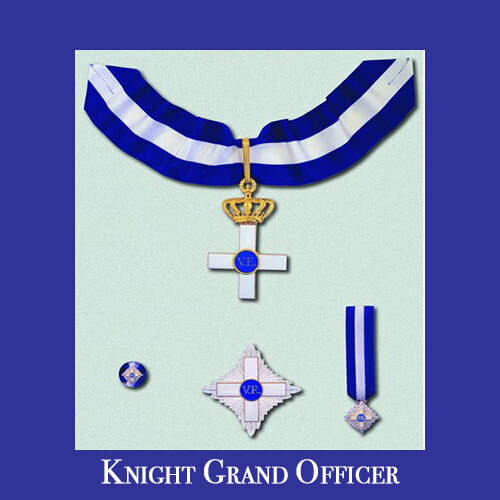 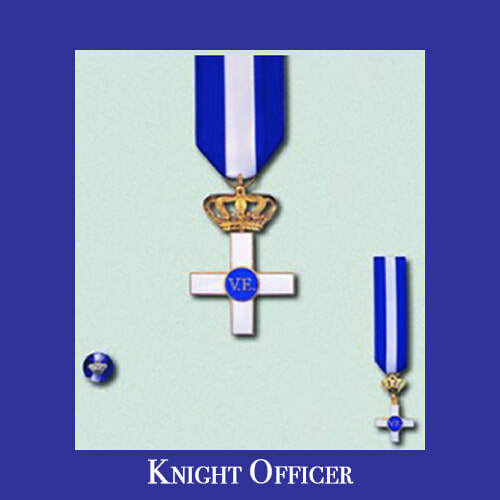 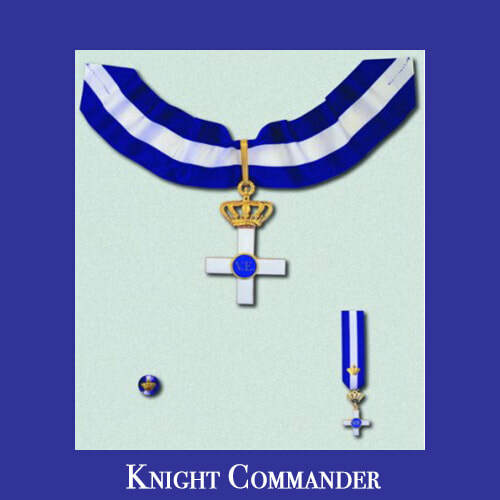 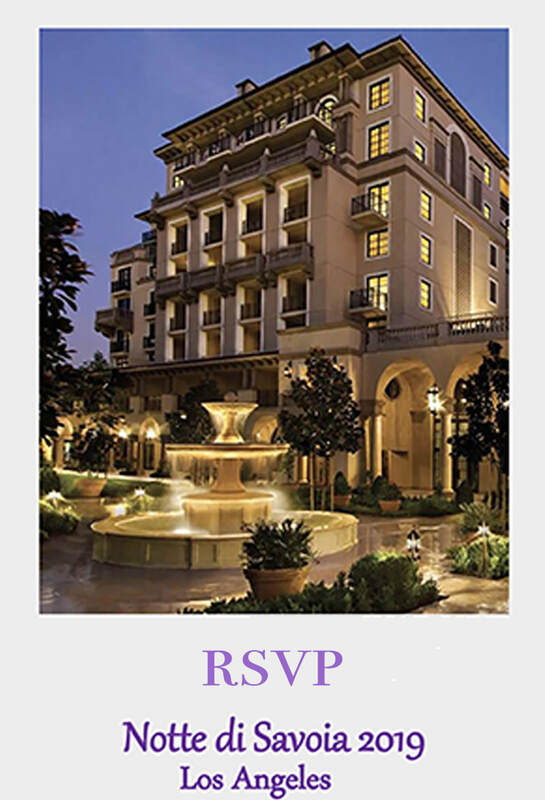 The Order has more than 1000 members, Knights and Dames of all ranks in 35 Delegations throughout the world. 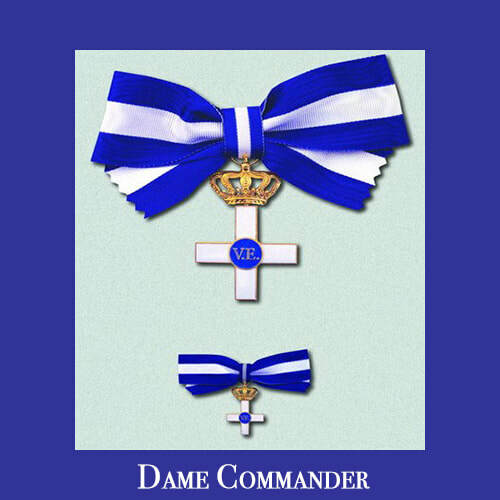 H.R.H. 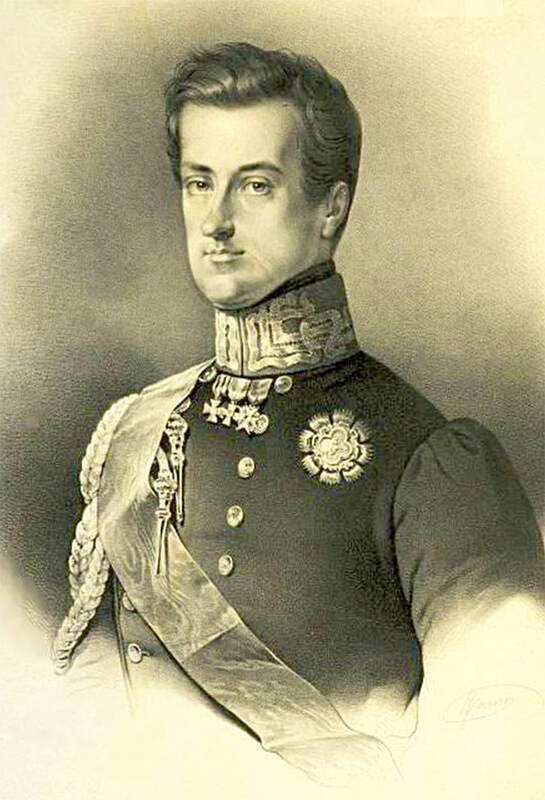 Prince Victor Emmanuel of Savoy is the Grand Master. 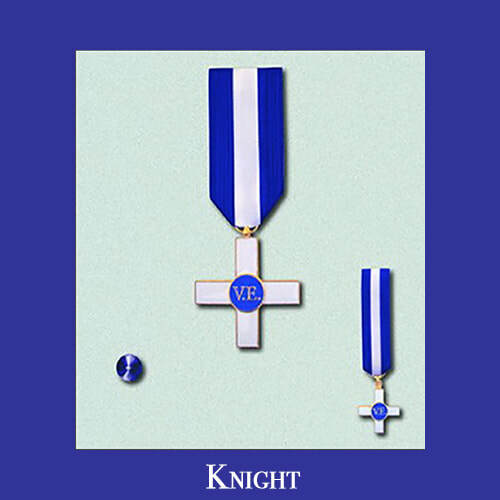 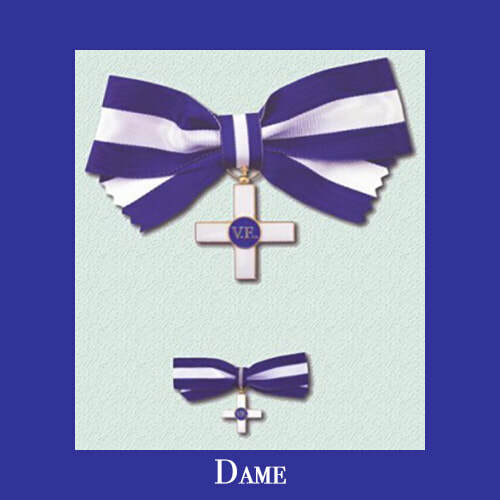 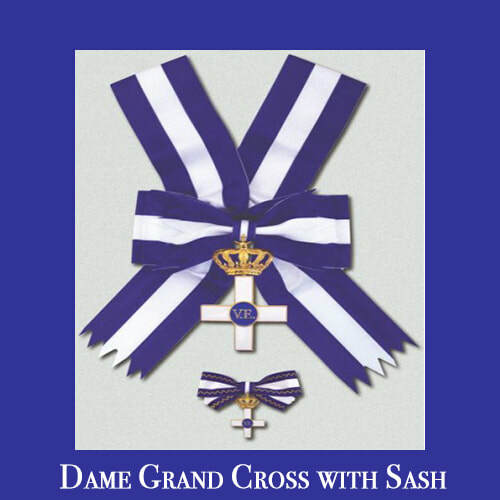 The insignia of the Order of Merit of Savoy is a simple Greek Cross enameled white, bearing a round center medallion enameled in light blue, displaying on the obverse the monogram “V.E.” for Victor Emmanuel. 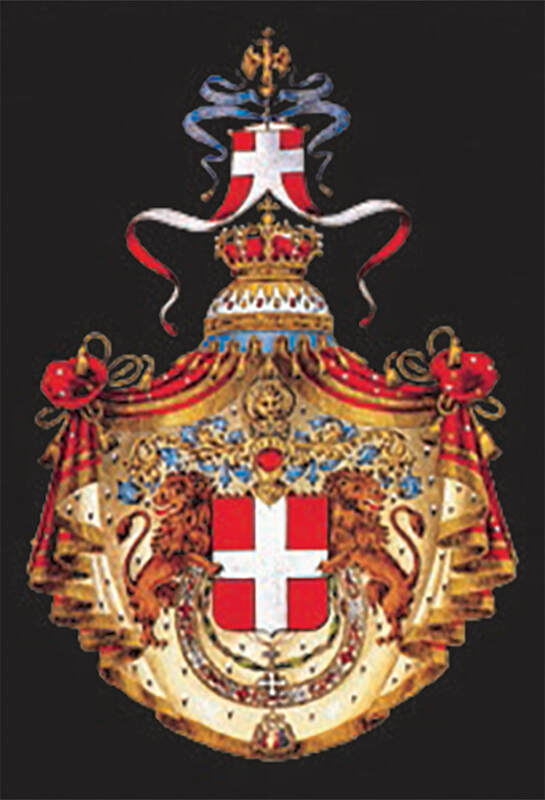 On the reverse of the medallion is the motto AL MERITO DI SAVOIA 1988 (Merit of Savoy 1988). 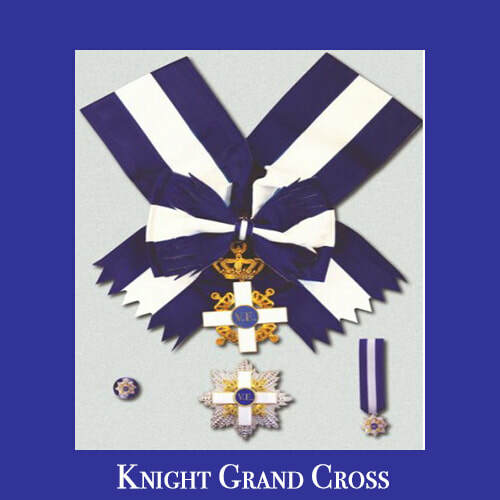 The cross is suspended from a ribbon of three equal stripes of blue, white and blue. 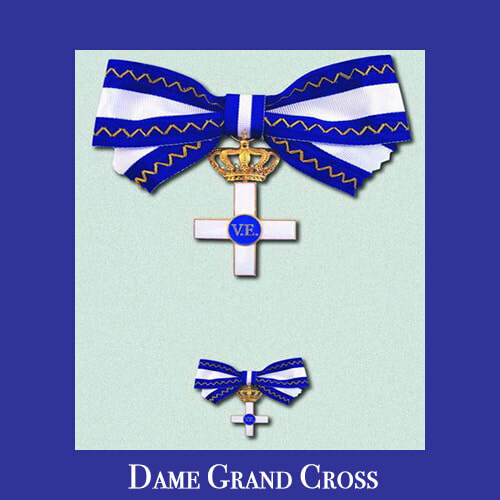 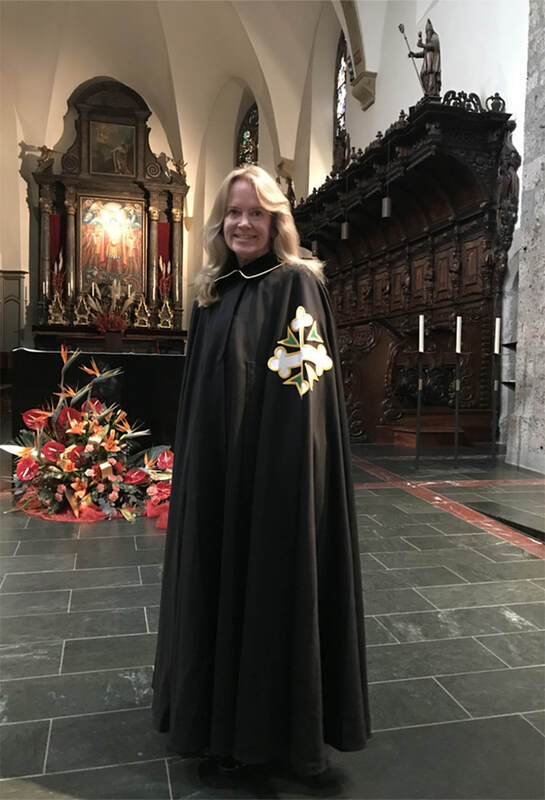 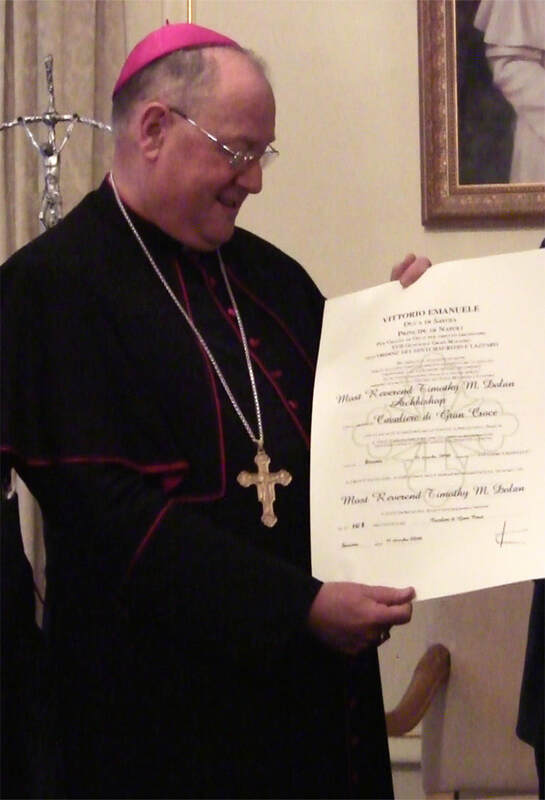 The church mantle or robe is a turquoise blue wool cloth adjusted at the ruff by four cords with white and blue silk tassels and with the cross of the Order embroidered on the left side, in various sizes depending on rank.